Transportation services to and from Vancouver Island in British Columbia, Canada. 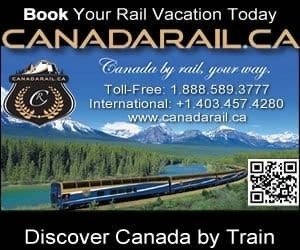 Book your BC travel plans on Canada's largest booking, planning and interactive attraction and activity website. Excited to Travel Vancouver Island, BC, Canada! Vancouver Island, BC is a stand alone island on the west coast of Canada connected to the BC Mainland by the BC Ferries, charter planes, floatplanes, aerodromes and airports. Once on the island one can continue their travels by arranging transportation via car rental companies, bus tours, water taxi and shuttle buses. The main BC Ferry terminals on Vancouver Island connecting to the BC mainland are located in Victoria and Nanaimo, BC. Shorter ferry routes connecting to the Gulf Islands and northern BC communities are located in the mid-sized communities on Vancouver Island. The island enjoys two main airports. The larger of the two is located in Sidney, BC , just north of Victoria, BC. The other airport is located in Nanaimo, BC. There are smaller airports throughout the island, however, they do not accommodate the larger airlines. Vancouver Island is over 600 kilometres long and connects to many Gulf Islands via a BC ferry connection or plane. To explore the islands one needs a reliable vehicle. Vancouver Island car rentals are available in most mid to large communities. The best selection of car rental inventory is often located in the major communities and at the larger airports. Terms and conditions vary per car and truck rental company. For a complete list of BC Ferry schedules, and contact information for floatplane and charter plan services, as well as, airports and aerodromes please visit the transportation section listed in the appropriate community. Register your Vancouver Island British Columbia, Canada transportation company today.